After a successful Box Office run and overwhelmingly positive reviews, The Social Network has garnered a number of Golden Globe nominations, including one for Aaron Sorkin for Best Screenplay. The Golden Globes are known as an accurate reflection of what could come at the Oscars, so this is a big win for the movie, which was released by Sony Pictures. The Social Network’s other nominations included Trent Reznor for Best Original Score, Jesse Eisenberg for Best Actor, David Fincher for Best Director, Andrew Garfield for Best Supporting Actor and Armie Hammer for Best Supporting Actor (the actor who played the ‘Winklevii’. And perhaps one of the most important nominations—a nod for best motion picture, in the drama category. While nothing is definite, it certainly seems likely that The Social Network could get a number of Oscar nods come next year. 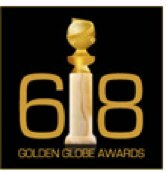 The Golden Globes will take place on January 16, 2011.